The 2011, 39th edition of the Severn Bridge/Felt Bicycles Road Race takes place on Sunday March 6th. Entries closed on 13th February 2011. 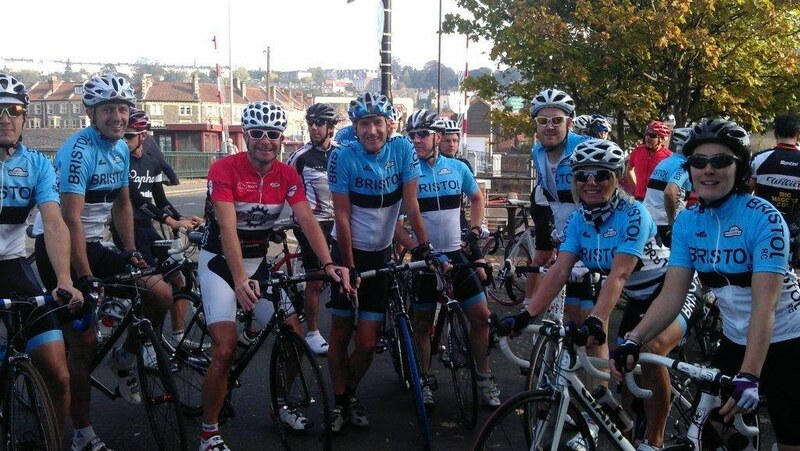 See British Cycling website link for details, or if you have any questions please email brian.okelly@bristolroadclub.com. Scroll down to see list of riders. The previous event organiser, Richard Jarrold, is still actively involved in this years event and responsible for arranging sponsors, marshals and motorcycle outriders, etc., so please stay in touch with him as you have done in previous years. The race has been extremely popular this year and we received more than 120 entries, so sincere apologies to those of you that we had to return entries to. The race programme is now available to download from the following link. Severn Bridge RR Programme The hardcopy programme has also been posted on 1st March to all riders or their team manager. There is one rider change which means the hardcopy programme is incorrect and the download is correct. Rider 15 is Jon Tiernan-Locke (Rapha-Condor-Sharpe). Also reserves are reduced to 14. The race HQ is at Olveston Sports and Social Club, Alveston Road, Old Down, Olveston, South Gloucestershire, formerly called the Queen Alexandra Memorial Pavilion, Old Down. The best postcode to use for your SatNav is BS32 4PA (but not perfect), however you will find it at the intersection of Old Down Hill, Foxholes Lane and Alveston Road. The race starts at 11.00am. There is a prize fund of £1100 with sponsorship from Saddleback, Argos Racing Cycles, Blast Bikes, Avon Valley Cyclery, Mud Dock, Printech, Signboard and Academy Eyewear. First Prize is £250 cash from Saddleback with prizes down to 10th place. Other prize categories are 1st place prizes for Best Team (3 riders), KOM, U23, Local Rider, Junior, 2nd Cat, 3rd Cat and Lantern Rouge. Rider details are shown below. The field size is 80 riders with 14 reserves. All reserves from 91-94 have the option to elect to withdraw and receive a refund. If you wish to do this, please email brian.okelly@bristolroadclub.com.